In the story, Alexander MacDonald guides us through his family’s past as he recollects the heroic past of his people. There is the legendary patriarch who left the Scottish Highlands in 1779 and resettled in “the land of trees,” where his descendents became a separate Nova Scotia clan. There is the team of brothers and cousins, expert miners in demand around the world for their dangerous skills. And there is Alexander himself and his twin sister, who have left Cape Breton and prospered, yet are haunted by the past. No Great Mischief is a spellbinding story of family, loyalty, exile, and of the blood ties that bind. 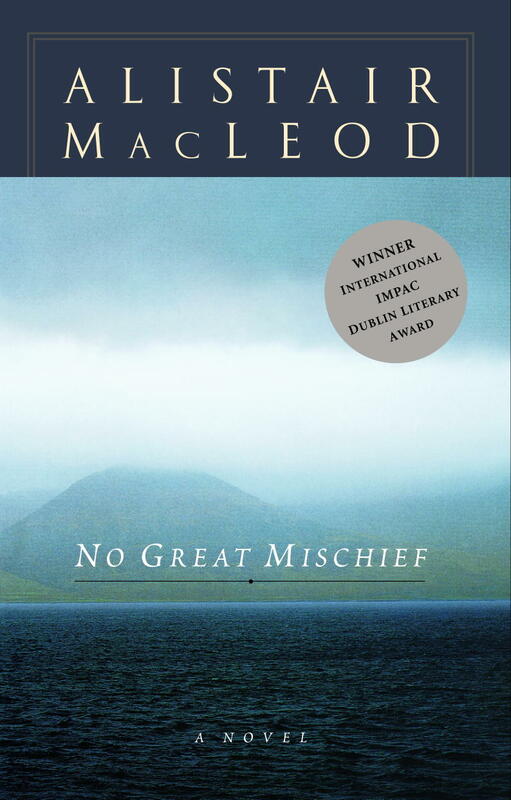 Alistair MacLeod was born in 1936 in North Battleford, Saskatchewan. In 1946 the family moved east to a farm near Cape Breton, Nova Scotia. It was here that MacLeod would spend many years. In 1960, MacLeod graduated from St. Francis Xavier University with a BA and B.Ed. In 1961 he graduated from the University of New Brunswick with an MA and, in 1968, from Notra Dame with a PhD. In the 1970s he was a professor of English and a teacher of creative writing at the University of Windsor in Ontario. Alistair MacLeod is not a prolific writer. The One Book, One Community title for 2002, No Great Mischief, was in the works for 13 years. This leisurely pace of writing may not produce a quantity of reading material, but it is certainly quality writing.